*Panareti's Royal Coral Bay Resort* is unique in that it is located within a conservation area with a wealth of spectacular scenery! The resort itself, facing the sea and offering a panoramic view across the Bay, provides pure relaxation and tranquillity. Guests have exclusive access to the sandy cove where they can swim undisturbed in crystal waters. 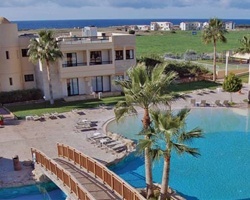 The resort is also ideally situated to explore the Akamas Peninsula with its numerous inviting beaches. The unspoilt and forested Akamas area is popular with nature lovers, artists and amateur photographers. In the evenings, take a short walk round the magical and calm bay of Keratidi, which many centuries ago used to be the old port of Paphos, and enjoy the unparalleled beauty of an East Mediterranean sunset. 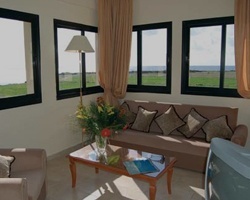 Peaceful retreat situated right on the beach! RTU until 2032! Buyer May Receive A Title Fee Credit, Inquire For Details! No need to go far with many amenities available onsite! RTU until 2032! Buyer May Receive A Title Fee Credit, Inquire For Details! Floating week of your choice each year at this lovely Cyprus resort! RTU until 2046! Buyer may receive a title fee credit, inquire for details! 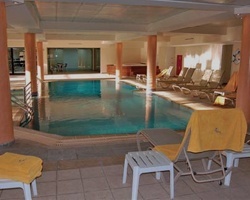 Floating week of your choice at this outstanding Cyprus resort! RTU until 2025! Buyer may receive a title fee credit, inquire for details!